Task: to design a cover for a book on being liked by people. Patrick King explains why we are drawn to some people and not much so to others and how small changes in behavior can dramatically transform social life and relationship. Readers of the book will find out how to become charming, attractive and make an unforgettable first impression. 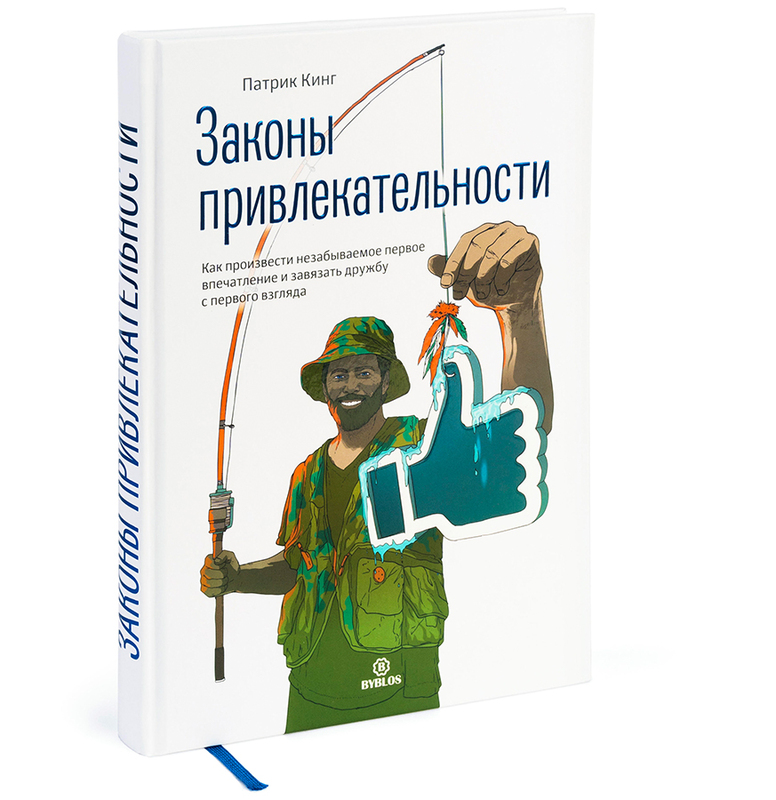 On the cover an attractive fisherman catches likes of others with his bare smile.